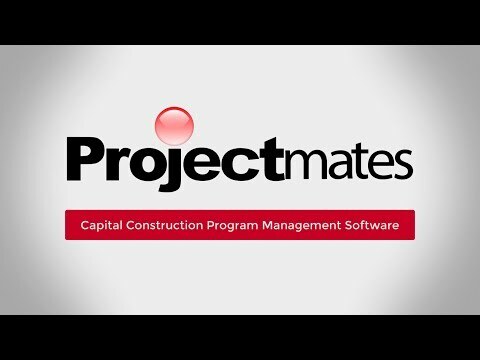 Projectmates is the best online construction project management software for retail. Large retailers need program management software with a good backbone of functionality but that can also be customized to streamline workflows. Projectmates' flexible workflow modules are designed to work for any project regardless of the size or complexity. Whether building a new store location or remodeling a warehouse, retailers can utilize Projectmates for planning, design, construction, close-out, and beyond. Whether managing a project pipeline of retail location openings, multiple projects running concurrently, or merchandising projects over different time periods, retail/rollout construction projects come with pressing demands. Projectmates provides a single interface to manage various project types. The software is extremely configurable to meet your unique construction prototypes as well as capture key store information, such as region, construction type, and phase. Templates can be created for different degrees of complexity and also for each department, such as New Construction, Remodels, and Minor Repair projects so that new projects will automatically be setup appropriately. In addition, projects can be labeled or flagged by department, type, phase, and delivery method, such as hard bid, competitive sealed proposal, design build, etc. For repetitive projects that are similar in scope, Projectmates offers complete project copy functionality based on user access and other security restrictions. Budgets, commitments (contracts and purchase orders), and invoices can be tracked in Projectmates to track costs against REC approved budget amounts. Approval processes can be as simple or complex as your organization needs with financial thresholds determining who needs to approve items like change orders and invoices. Vendors and contractors can enter proposals, bids, and invoices directly into the software, which cuts down data entry and mistakes. Because Projectmates is web-based, project managers and directors can approve items on the road instead of waiting until when they're back in the office. This drastically improves approval times, which is a win-win for you and your contractors, consultants, and vendors. In the retail industry, it's always a race to the Grand Opening. Schedules are posted, deadline dates are categorized by responsibility, and email reminders are sent about upcoming milestones so no one misses a date. This allows you to easily track tasks, handle changes, ensure compliance, and report on progress with a simple click in your web browser, smartphone, or tablet. Petco construction is now more competitive because of efficiencies gained through Projectmates. Approvals for Capital Expenditure Requests, Change Orders, and Invoices that used to take several weeks are now completed in just a few days." With all the benefits Projectmates has to offer Retail/Rollout construction project managers, there's no reason not to give it a try. Request additional information or arrange a LIVE demo to get a first-hand look today.